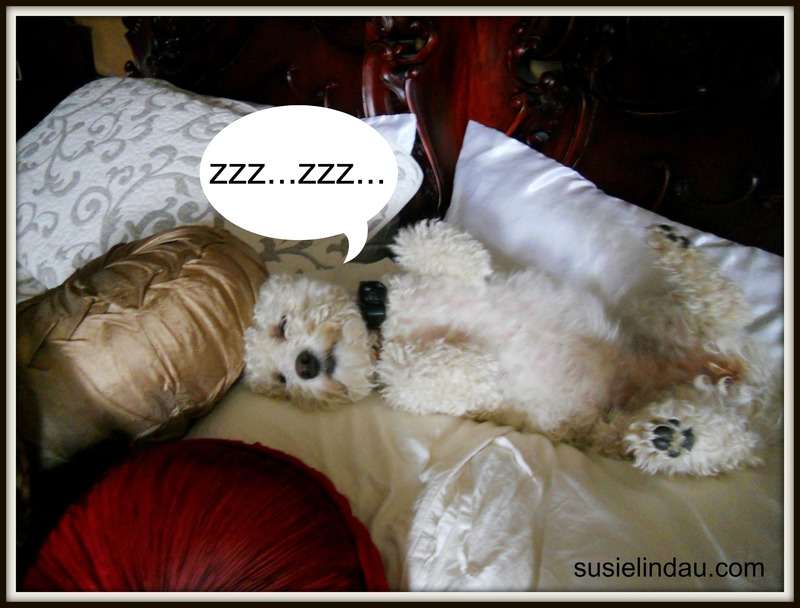 Some days I can’t wait until my head hits my pillow. Sometimes I envision a fairy tale before I go to bed in hopes of sweet dreams. Just the thought of sleeping can make my eyelids feel as though a one pound weight is tethered to each eyelash. I climb into bed and slip under the covers until my heavy head rests on something that feels like it’s been run over by a Mack truck. I looked up pillow in Wikipedia and was surprised to read that they’ve been found in ancient Egyptian tombs. If mummies have been resting comfortably through the millennia, didn’t I deserve one comfortable night’s rest? I picked up my pillow and flipped it over. Maybe it’s too flat. I pummeled it while channeling Vin Diesel, but it was as soft as a brick. I tried folding it over, but my shoulder was off the bed when I turned onto my side. When I lay on my back, my chin hit my chest. After tossing and turning much like The Princess and the Pea, I finally fell asleep. The next day I forgot all about aforementioned pillow even though I had a stiff neck. In the beginning of summer, I had such a humongous knot that even my husband Danny couldn’t rub it out. One day while sitting at my computer, I pulled down as hard as I could with my shoulders while lifting up with my head and neck. I thought it would be a good stretch until I heard something pop below my clavicle. Boy! Did that hurt! After a couple of weeks of pain, I went to a massage therapist who told me I had popped a rib out of place. Wow! I am massive! After three sessions with a chiropractor while being hammered, cracked and snapped, it went back into place. I felt relief at long last. All this time, I assumed my neck pain came from sitting at my computer all day. When the same stiffness started up again the following month, I tried to ignore it. Then, weeks later, I had one of those “EUREKA” moments. I thought of the pillow fight I have every night. It’s not the typing, it’s my stupid pillow! I threw my offensive tormentor onto the floor and grabbed another from the pile of decorative pillows on my bed. Ahhh! So much better or so I thought. That night I dragged my tired and worn out body back to the torture chamber. This time I tested out the other pillows in the room, frantic for a good night’s sleep that wouldn’t leave me looking like Quasimodo in the morning. The feather pillow flattened out after a few minutes. The firm pillow gave made me wonder if a soccer ball was hidden inside. My big head squished the middle of the soft pillow so it felt devoid of any stuffing. After scattering most of them on the floor there was only one left. I stared it down. Then I heard the theme song of The Good the Bad and the Ugly playing in the background. I was hallucinating after so little sleep. If this wasn’t the one, I would have to forfeit another night’s sleep or wait until I went out shopping and even that was no guarantee. 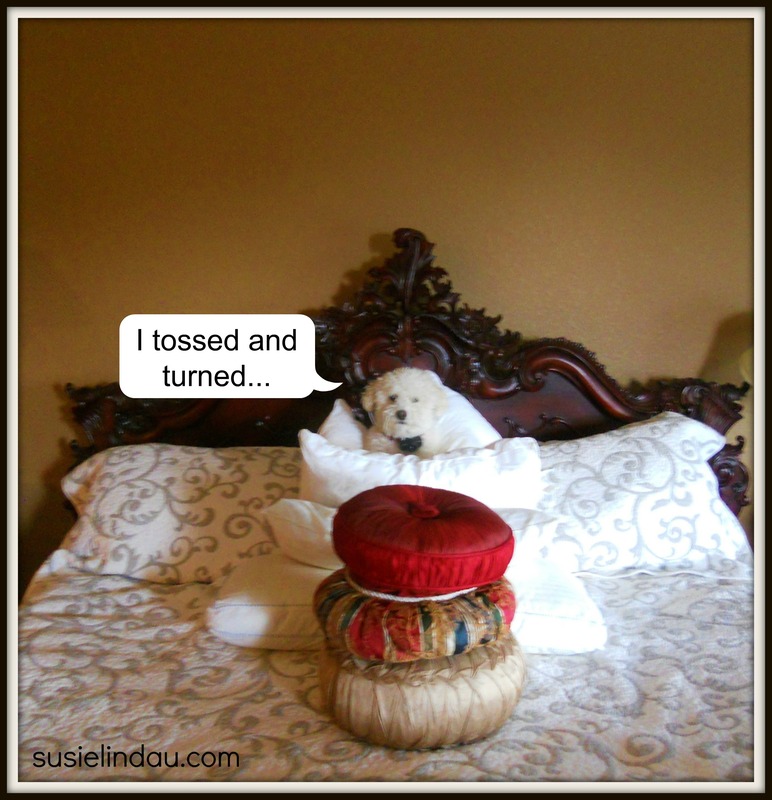 I picked up the last pillow and caressed it. So far, so good. With both hands, I tested the resistance of its core. It bounced right back. 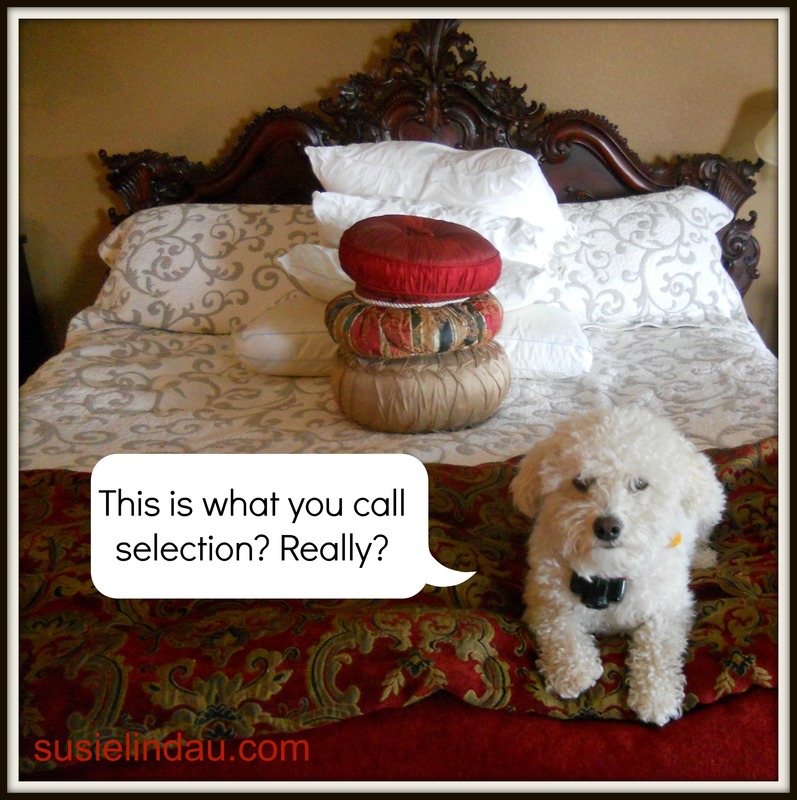 I’d been fooled before and had become skeptical and suspicious of all pillows. I laid it on the bed and gently reclined. As soon as my head hit that pillow, I was transported. Before I knew what was happening, I was in dreamland floating around the clouds. Okay, I didn’t have a flying dream, but I slept. The next day when I woke up, my stiff neck was gone. What a relief! I had found the perfect pillow! Not too hard, not too soft; just right. I had transformed from the Princess and the Pea to Goldilocks to Sleeping Beauty. Now every night I look forward to my own dreamland fairy tales. Do you always sleep well at night? I sleep with 4 pillows….. don’t know how I evolved from just needing one, to four. And your Roxy is so cute and spoiled, bless her! Roxy is hilarious! Luckily she doesn’t sleep on our bed at night or my husband and I would both end up on the floor! I definitely think that anyone who’s suffered a bad night sleep can definitely relate. Stupid pillows. One day my neck couldn’t take it anymore so I got fed up with all of them, threw them out, and headed to Bed, Bath and Beyond on a serious mission. Now that you made peace with a pillow, time for a real pillow fight. See that person next to you? Little does he know in your mind it’s early morning 7 December, 1941, and he’s Pearl. You are right if mummies had’em why can’t we? i am so glad you found your pillow Susie.. Thanks Soma! It makes such a huge difference! I love it and hope that it lasts a while…..
Like you, I discovered my pillow was the source of all my sleeping problems. but the perfect one is hard to find. The result is certainly worth it though, isn’t it? Love your writing style 🙂 keep it up. She played “me” in my story! Hahaha! I was laughing so hard when I took these. She is such a ham!